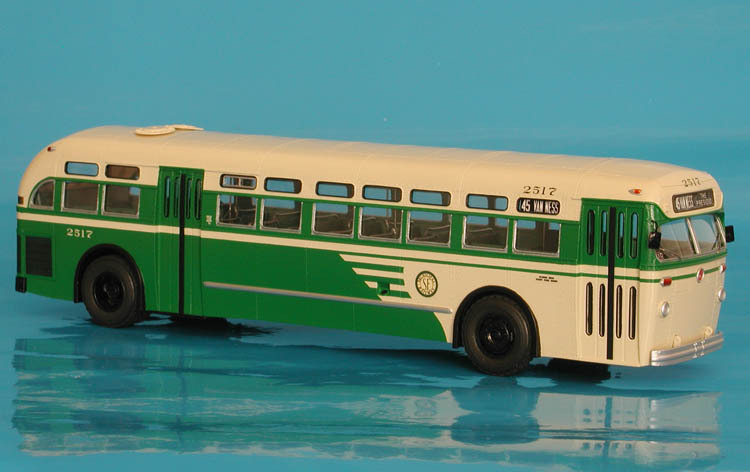 Model 1954 mack c-49 dt (metropolitan bay transit authority #2230) - grey/white/yellow livery. 1954 Mack C-49 DT (Metropolitan Bay Transit Authority #2230) - grey/white/yellow livery. 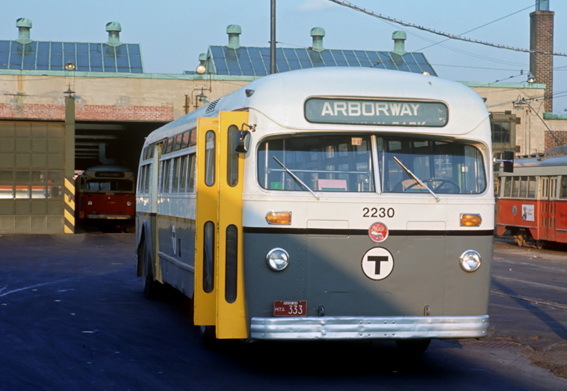 Beginning with massive conversion of Jamaica Plain streetcar lines in 1955, large quantities of Mack diesel buses were purchased as replacements for Type 5 streetcars and trolley coaches. 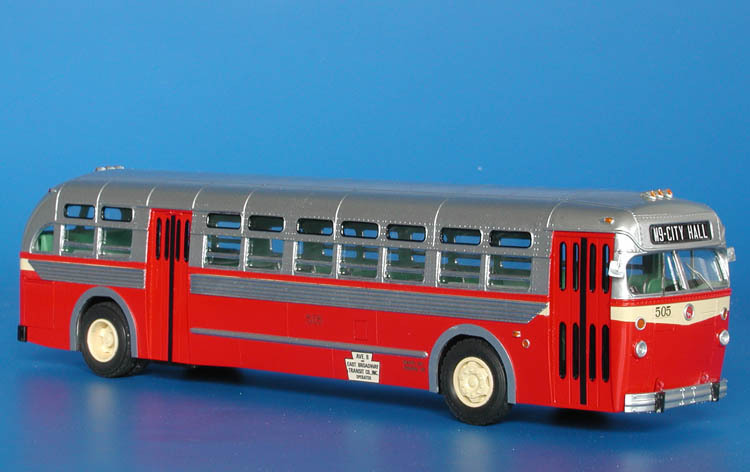 In 1955, a first batch of 45 model C-49DT buses numbered 2205-2249 arrived, in 1956 fifty more coaches were delivered (2250-2299 series) and last batch of thirty buses numbered 100-129 arrived in 1958. 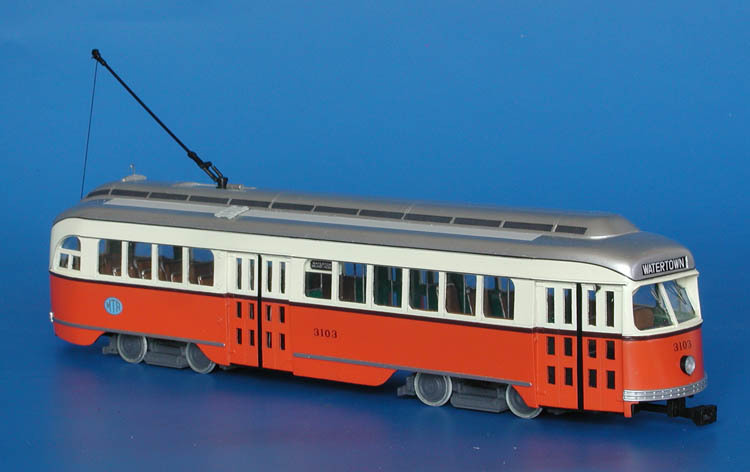 [This special Custom paint order model have all features of the Boston Macks but use the slighlty shorter California version (274 1/2' wheelbase) body as a base]. 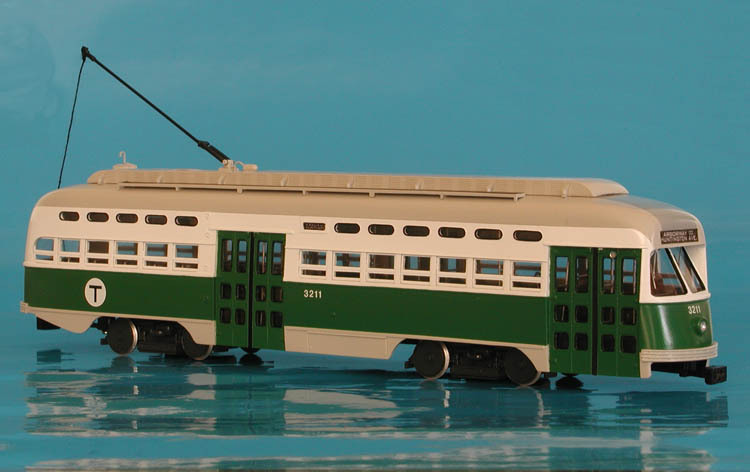 1944 MTA Boston Pullman-Standard PCC (Order W6697, 3057-3066, 3102-3111, 3142-3146 series) - post'59 livery ("Commonwealth" cars). 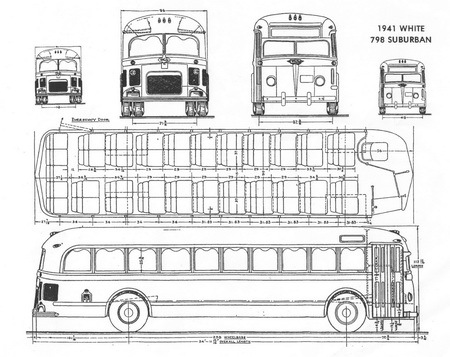 1959/60 Mack C-49 DT (San Francisco Municipal Railway 2500-2569; 2600-2669 series). 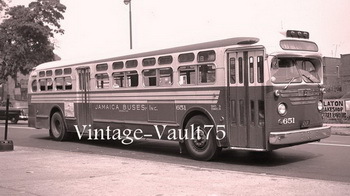 1958 GM TDH-5106 (Jamaica Buses Inc. 651-655 series).